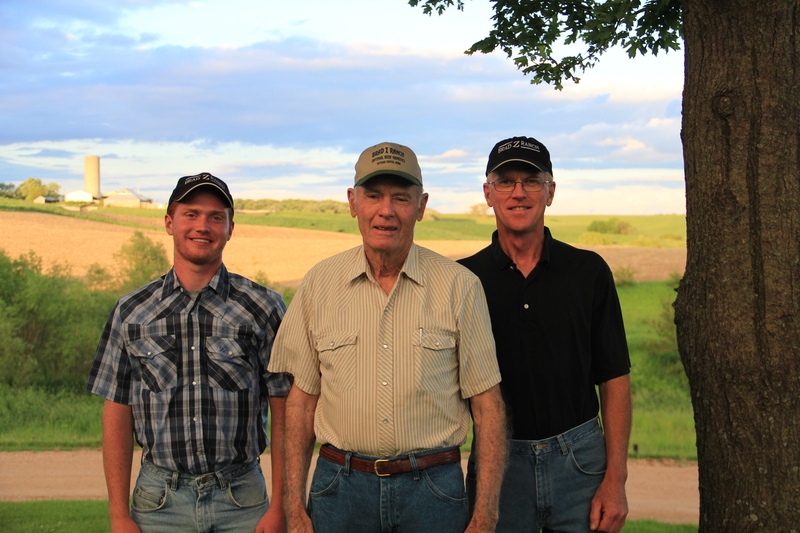 Jim and Mary Bradford purchased a farm in the rolling hills west of Guthrie Center, Iowa in the early 1970s and have been working and caring for the land and their cattle there ever since. They have primarily raised Angus cattle on their seed stock operation, but also some Simmental and Gelbvieh. Their son-in-law, Dale Foster, and grandson, Landon Foster, are now helping run the ranch.